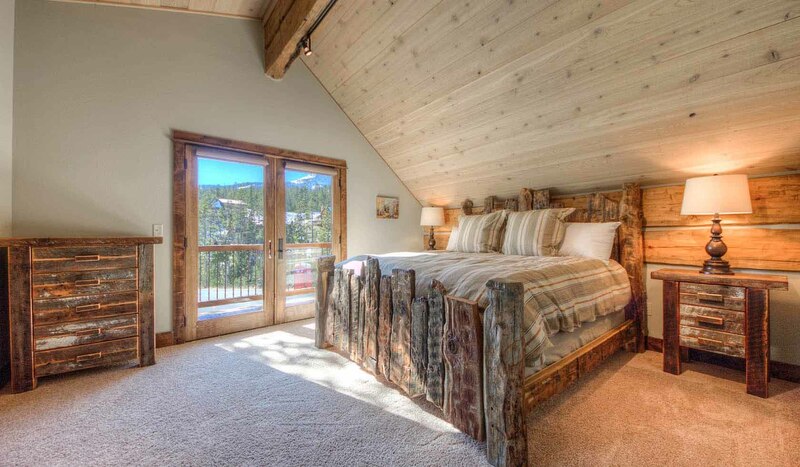 4 Bedrooms, 3 Bathrooms, Occupancy 13, Ski In and Ski Out Access Gorgeous in every way! Nestled in the woods, this luxurious cabin has it all. From the amazingly comfortable, high-end American Leather comfort sleepers to the boot dryers, fireplaces, private hot tub and cozy lower level bonus space, you won't want to leave. Professionally decorated and it shows. The vaulted ceilings, exposed logs and rustic wood burning fireplace will have you relishing your home away from home in Montana. Less than a mile form the Big Sky Base area and only 1 hour from Yellowstone National Park.